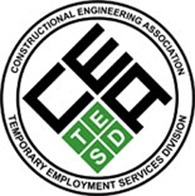 The Temporary Employment Services Division (TESD) was founded in 2003 as a division of the Constructional Engineering Association (South Africa) – a member of SEIFSA. The TESD provides temporary employment service providers with a forum to regulate this specialised industry to serve the needs of their clients and to protect the rights of their candidates in a legally compliant environment. TESD members supply “white collar” professionals such as draughtsmen, engineers, project managers and technicians to the Engineering, Procurement and Construction Management (EPCM) industries, mining houses and the manufacturing industry. Temporary/flexible employment (termed as “atypical employment”) has become a norm in South Africa’s Engineering, Procurement and Construction Management market which is project-focused and has fluctuating requirements. To gain access to resources that are not available internally. To reduce and control operating expenditure. To keep the headcount to a minimum. To eliminate the potential threat of labour disputes or additional costs associated with permanently employing staff. WANT TO CONTACT CEA TESD?